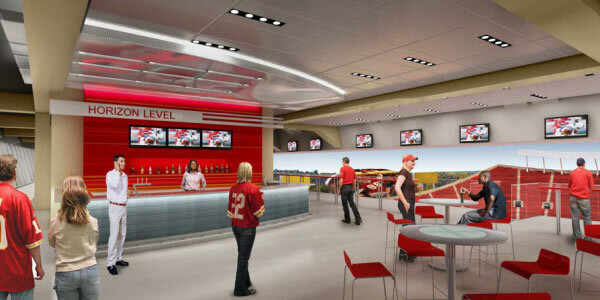 December 2008 - Alpha Energy and Electric, Inc., is proud of its current collaborative contract to install electrical systems at the New Arrowhead (Kansas City Chiefs) Stadium in Kansas City, Missouri. We are proud to be a part of this laudable project; we strive to provide value for our customers through innovative design build approaches. Alpha Energy and Electric, Inc.: leading the show me state, and the nation in powering the economy. The Arrowhead Stadium has always been one of the crown jewel ballparks of Major League Football. Hosting millions of football fans since 1972, "The Chiefs" and its signature look has proudly stood the test of time. 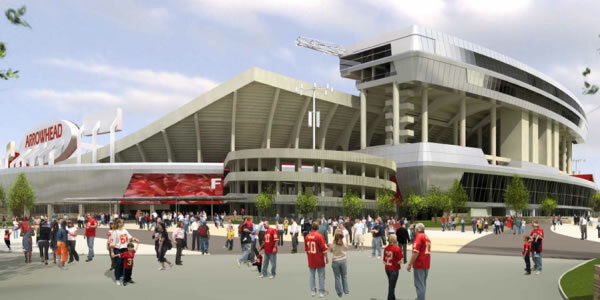 Now after years of planning and design, the Kansas City Chiefs begin a $375 million construction phase on the exciting renovation of a true Kansas City landmark. From your approach to the stadium as you leave your tailgate, to the engineering and fan-friendly design and services that give you what you want without sacrificing any of the beloved old stadium's best features, The New Arrowhead is the result of extensive fan research, the creativity of internationally recognized architects, HOK Sport, and the passion of the Kansas City Chiefs organization to make your visits here as memorable as they can be. Opening in 1972 as one of the first truly modern football venues and now undergoing its first major renovation in 40 years, The New Arrowhead is a state of the art sports and entertainment destination that will serve as the setting for future generations of shared experience and celebrations of America's favorite sport. 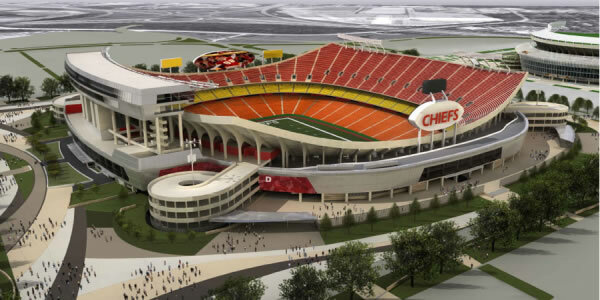 Wider pedestrian walkways lead across an expansive plaza to The New Arrowhead's many entrances circling the stadium. While the creation of The New Arrowhead poses a unique design challenge that demands a creative and sensitive response unlike any other NFL project, it integrates all the attributes and current trends that are normally included in a modern NFL stadium with a respect for the revered sculptural forms of Arrowhead creating a bold, new form. Rising on the edges and along the concourses of Arrowhead's iconic bowl, The New Arrowhead design celebrates the stadium's glorious past with an equally promising future. Delivering warm intimacy and modern amenities to enhance the fan experience, it offers a greater variety of experiences for all ticket holders, no matter where they sit. Concourses have been widened by 60 to 100 percent, encouraging easy movement around the stadium and to your seats. There are 50 percent more points of sale for novelties, beverages, and specialty foods and 80 percent more restrooms throughout the stadium, thereby allowing you to make it back to your seat—and back to the action on the field—in less time. The top deck is where the coaches watch the game in play along with the press. This deck also hosts a unique, all-inclusive, suite-like experience for 100 fans. The lower deck is open to all fans, with a festive atmosphere including concessions and restrooms along with a full view of all play-by-play action. Relive the most exciting moments in Chiefs and AFL history at the all new Chiefs Hall of Honor. Pure Chiefs adrenaline will fill this themed area in the lower level concourse where fans can experience over 45 years of riveting football memories. Exhibits will include the Super Bowl IV, AFL Championship, and American Bowl trophies, original seats and programs from Municipal Stadium, a journey through Lamar Hunt's creation of the AFL, virtual locker room featuring Chiefs Hall of Famers, a re-creation of the Hunt Family Gold Suite and more. Video and interactive displays give life to our team's most amazing moments and allow visitors to FEEL the energy and passion that has made Arrowhead Stadium the best football experience in the NFL.